In today’s post, we will be staring into the unknown abyss that is a DUI, along with its facets and intricacies. Why would we want to bring up such an uncomfortable topic like DUIs as they pertain to traffic law as a whole? That is an excellent question, we are thrilled you asked. The first reason is that people get in these situations more often than most any of us realize, and to that end we believe that people ought to be informed about what to expect during the process, along with some potential advice about what to actually do should such unfortunate circumstances arise. So the next time you search for “DUI attorney near me” and you find yourself in the Virginia, D.C. or Maryland regions, we hope that you find TATE BYWATER and all of our resources close at hand. The second reason is that other people, while not immediately in need of a DUI attorney, may have a good reason to research this topic, other than learning about how to avoid a DUI in the first place. Because although avoiding something like this is completely understandable, we can’t stress enough the idea that this isn’t the type of situation to flirt with, in order to see how much of a grey area there is. If, other the other hand, people are interested in educating themselves for the sake of knowledge, or perhaps even to be prepared if a loved one finds themselves in a bad circumstance where a DUI defense attorney is merited. Regardless of the reason, continue to read if you are interested in learning more about understanding the process of DUIs, DUI defense, and other pertinent information. While that title isn’t exactly realistic (there is no sure way to guarantee you won’t get pulled over), there are certain things you can do to make yourself less conspicuous to police, regardless of what the situation is. For instance, you should do a five minute sweep of your vehicle every month or so to ensure all is in working order. Check your taillights, brake lights, turn signals, headlights, brights, and we would even recommend double checking that your license plates are visible and up to date. But once you are on the road, there are certain driving behaviors which are more likely to get yourself noticed than others. For example, driving on the sidewalk is likely going to get you pulled over, irrespective of your physical state while driving. Other examples of uncouth behavior include items you could probably name as such: speeding, running red lights, and failing to use signals are all common occurrences. But the good news is that they are all, ostensibly, fixable issues. If worse comes to worst and you’ve gotten pulled over, there is likely a reason why this has happened. If all things were equal, the driver could have been speeding, acting aggressively, or swerving, any of which would be cause for the police officer(s) to inspect the situation. 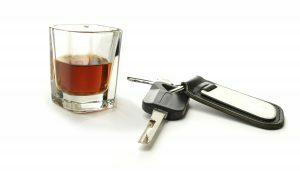 Here are some tips about helpful ways to act from your local DUI lawyers at TATE BYWATER. Pull over – No, this isn’t Dumb and Dumber and we aren’t going to make that joke…but we wanted to. If you are driving on the interstate or highway, it’s a good idea to slow down and pull off as soon as possible. Though it may be tempting to wait until the the next exit to save the police officer from having to stand too close to traffic, generally speaking it is best to pull over as soon as safely possible. Turn Your Light On And Be Cool – No, this isn’t Pulp Fiction, but the driver and everyone in the car needs to do their best to keep their wits about them. Whatever the end result, this is far from the end of the world. Turn on an interior light, make sure the driver keeps their hands on the wheel, and make sure your head, hands, and face are all visible, free from hats or hoods. Be Cooperative – Police officers have power and authority, and citizens would do well to be polite and cooperative in stressful situations. While we aren’t suggesting that you become Ghandi in a split second, keep in mind that going on the offensive and holding up your phone to an officer’s face while they are being recorded…probably isn’t going to put you in good standing with the officer. Also, if you or the driver is impaired, this is an especially poor idea. Stay Calm – If everything goes poorly and you do get arrested, we understand that you probably won’t have the ability to search for this article from your favorite DUI defense attorneys, so we will keep it as simple as possible for people to remember. We understand that getting arrested is a terrifying prospect, but staying calm and asking for legal representation is your best option weighed against the alternative of freaking out completely. 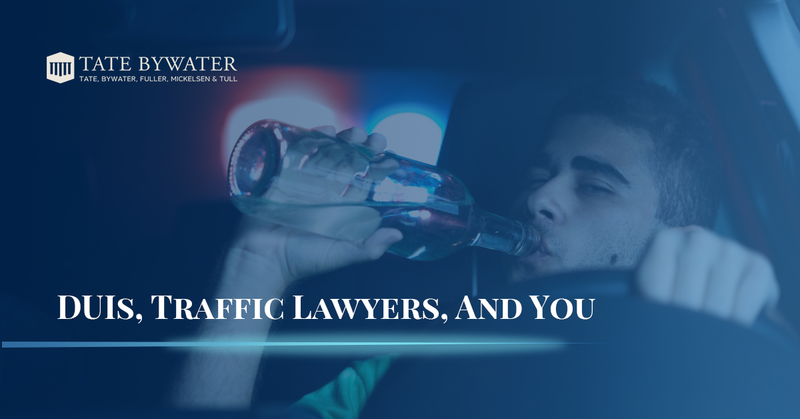 These tips from TATE BYWATER defense attorneys are a good start, but the more fundamental prerequisite would be to not drink and drive in the first place. That is the most important piece of advice you could take away from reading this article. In part two of this series taking a deeper look at DUIs and DUI defense attorneys we will take a dive into post-arrest-things-to-expect, along with some tips that will hopefully be beneficial for you or the person in question down the road. Serving Prince William County, Fairfax County, and other Maryland and Virginia counties, TATE BYWATER is proud to be one of the top DUI defense practices in the entire area. If you are in need of DUI defense or defense in another practice area, please don’t hesitate to get scheduled for a free consultation today. It costs nothing to talk to us, so feel free to explain your situation and we will do our best to provide you with sound legal counsel. Get in touch with your friendly legal team at TATE BYWATER today!